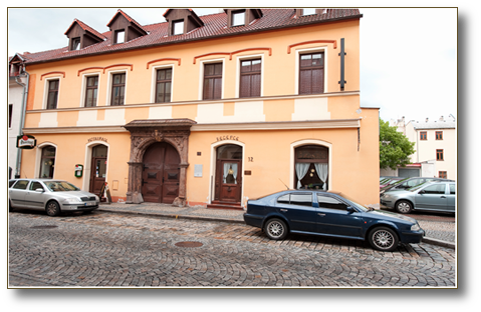 The hotel and restaurant U Dvou medvídků (At the Two little Bears) is located in an historical noble renaissance house from the 16th century. The hotel and restaurant are situated in the center of the royal city of Chomutov. The house was recently thoroughly renovated in order to preserve its historical value and, at the same time, to meet the highest requirements of its current clients. Thanks to the pleasant ihned and outer areas, first vlase service, delicious cuisine, modern equipment, and,last but not lest, courteous personnel, the hotel U Dvou medvídků has become the favorite goal of city visitors, who also like to return.